High quality, ensure products with high efficiency, low consumption, steady. 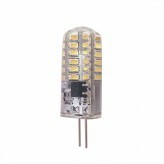 Silicon Packing, ensure high light transmittance, low lumens depreciation, anti-aging. The life spans can arrival at 30000hours. No radiation, No Glare,No UV and IR, accord with human health requirement.